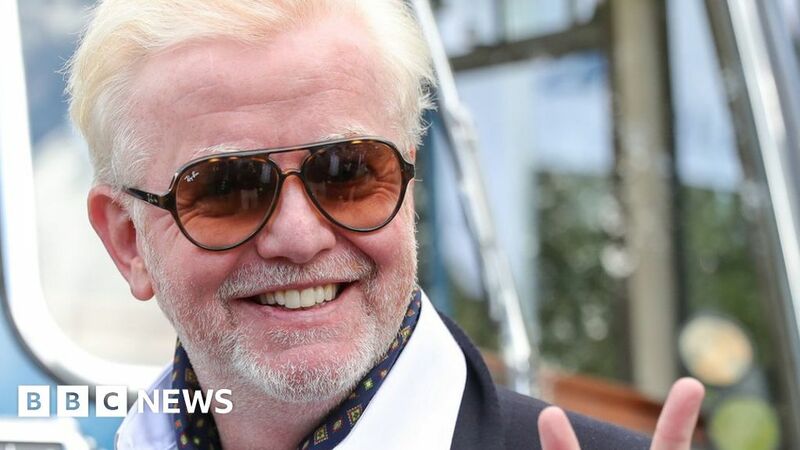 Radio host Chris Evans has revealed he has agreed to take part in next year’s Strictly Come Dancing – nine months before the series starts. “I have said yes,” he told BBC One’s The One Show, although he added he hadn’t yet signed on the dotted line. “Everyone puts it off and tries and keep it a secret. No, announce now. We’re doing it now,” he said. The 52-year-old DJ is about to swap the BBC Radio 2 breakfast show for the rival slot on Virgin Radio. He joked that he had agreed to Strictly “primarily because my wife would like to go every week”. He said he had discussed his appearance with Strictly commissioning editor Jo Wallace. He also admitted rhythm was “not really” his natural forte. He made the announcement less than a week after Stacey Dooley and Kevin Clifton were crowned winners of this year’s series. Evans will present his final Radio 2 show on Christmas Eve, and will launch his new Virgin breakfast programme in January. He said the company approached him with the idea of making it the first commercial radio breakfast show to run without conventional advert breaks. Instead, it will be sponsored by Sky, and the deal means he will promote Sky’s programmes during his slot. “So we’ll go to Formula 1 venues with listeners. We’ll go to the set of Game of Thrones, and we’ll fill it with that kind of content,” he said. “So many people advertise everywhere. You turn your phone on and there’s an advert.